This post contains Amazon affiliate links, which means it doesn’t cost you anything extra, but I receive a small commission if you purchase from one of my links. Last week was my first week of Keto and I lost 4 lbs! I’m so proud of my first week. The adjustment was surprisingly easy for me and I am so grateful. Day 2 welcomed me with a headache, which I know was a combination of being sugar-free and low carb for a full 24 hours, plus the fact that some nasty weather rolled in (when it’s going to rain, I always have a headache). However, it was incredibly easy to deal with! The dreaded “Keto Flu” wasn’t a real thing for me, and I didn’t have the digestive issues everyone warned me about. After doing a lot of research, I knew that if I wanted to avoid the Keto Flu, I had to be very intentional on how I cared for myself. The Keto Flu is what people experience when they first cut out sugar and cut back on carbs. Basically, they are detoxing, and it’s incredibly uncomfortable. I’m talking extreme fatigue, headaches, body aches, just overall feeling like utter crap. Here’s what I did during my first week of Keto to avoid the Keto Flu! Today, I’m sharing my Aldi shopping list for Keto, as well as the cost of each item! Please note that prices are subject to change at Aldi each week when it comes to produce and what is in season. Most other items remain pretty much the same, or fairly close. Either way, when I take the time to shop at Aldi, I save a ton of money. It isn’t nearly as convenient as my beloved Walmart Pick-up, but the cost comparison is totally different. As I mentioned in my last post, making the decision to start Keto was difficult for me mentally, simply because I am having to relearn how to eat. I think this will be good for me and I’m excited to see what happens, but just like any new eating plan, there will be a learning curve. Keto is an eating plan that trains your body to use fat (instead of glucose) for fuel. You use food to put your body into a state of “ketosis”, which in turn makes you burn fat, gain muscle, gain extra energy, lift you out of the “brain fog”, and your body as a whole is supposed to function so much better. It makes your brain, liver, and endocrine system function differently, so it’s highly recommended for people who suffer from epilepsy, autism, autoimmune disorders, type 2 diabetes, and even cancer. It is the top nutrition plan recommended for PCOS as well. Keto requires a certain ratio of fat/protein/carbs (customized per person), lots of water, electrolytes, and magnesium to be successful. It’s a meal plan that requires sodium (something I’m not used to) and lots of healthy fats. You can strictly use food to enter ketosis, or you can consume exogenous ketones to help get your body started much faster. Either way, you use urine test strips (or blood tests) to see if you’re in ketosis… so yes, peeing on yet another stick is going down in my house! After my miscarriage, I did a round of 21-Day Fix and I did not have the same results I had in the past. In fact, my response to 21-Day Fix eating has changed completely and I’m so sad about that. I tried a second round after the first and still, not the same level of results. I LOVE the program and I still highly recommend it for people who need help with portion control and need to learn how to eat healthily, but something in my body has changed tremendously since the miscarriage and I haven’t figured it out yet. I even tried cutting back on a yellow container (carbs), cutting back on dairy, and I didn’t have the response I expected. Instead, I’ve gained 20 lbs since last summer and most of it is in my belly (thanks PCOS). The numbers shouldn’t matter, but my clothes also don’t fit properly, and this is not okay. I can’t even begin to explain how frustrating and discouraging it is to gain weight when you’re eating properly. I’m not pregnant, but I’ve sure looked like it, and I’ve caught the looks people have given me, wondering if I’m hiding a pregnancy secret in my abdomen. Nope, it’s just fat. I tossed in the towel last fall and just gave up for a while, but I’m ready to try again. There is so much research that supports a low carb diet for PCOS and autoimmune disorders. I’ve heard there is some research on whether PCOS should be re-classified as an autoimmune disorder. I follow some PCOS Keto accounts on Instagram, I’ve been watching YouTube videos and reading blogs, and I feel like I have a pretty good idea of how this is supposed to work, but Lord have mercy, this whole eating plan goes against everything I know. Once upon a time, I boarded a plane for a work-related trip. What happened next surprised me big time. Earlier that day, I had experienced some light abdominal pain. I honestly texted my best friend that I thought I was ovulating, but was really confused because I was hurting in my lower back from it, and I thought I had already ovulated. I went about my morning, minding my own business, and kept my pain to myself. Fast-forward to the plane: as we prepared to take off, I suddenly realized that I felt feverish. I texted my husband and let him know that I was afraid that I was getting sick. It seemed to come out of nowhere and I was really unhappy that I went from feeling completely fine, sipping on my Starbucks, ready to fly to this conference for work… to having body aches, the chills, and like I had the flu. I had zero “sick” symptoms, just the symptoms of a fever. And when I say it came on fast, I’m talking minutes. I was completely fine and suddenly I wasn’t. For PCOS Awareness Month this year I wanted to write something a little different than I have in the past. 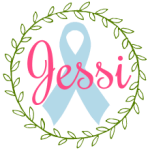 I’m sharing a bit of a personal thought process on what PCOS symptoms look like, what awareness means to me, and why it’s important. Happy End of January! I don’t know about you all, but January tends to be a difficult month for me. The holiday festivities are over after what seems to be two solid months of excitement, the weather is colder, the ice is upon us, and the sun doesn’t shine very often. Aside from the shock of putting away the Christmas tree and asking yourself “what did we have in that big empty space before?”, January is a time when many people are ready to start something new. It’s a new year and the perfect time to kick off a healthy lifestyle to purge all of the cookies, fudge, and butter we all just consumed. Don’t even play like you didn’t. But starting “new” can be scary. Intimidating. It can seem unreachable and difficult. The good news is that it doesn’t have to be hard and I’m here to help! You all know I’m no stranger to the 21-Day Fix (you can keep up with the whole journey here). I’m not a coach, but I’ve done several rounds and have loved it because it’s PCOS-friendly, easy to follow, and provides a gateway to a real lifestyle change. This time last year, I started my first round, and I admit I was a little scared. All the colors to remember, the portion sizes, the workouts… I was nervous that I would fail, but also knew that I didn’t have time to fail. My only option was to thrive. And thrive I did! I want you to thrive, too. So today, I am sharing with you my entire meal plan for the last 21 days, including the honest truth of when I didn’t work out, and what happened over the weekends.